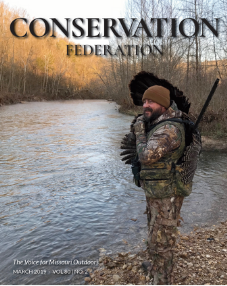 The Conservation Federation of Missouri, as approved by the Executive Committee, hereby establishes the following positions regarding topics that may be considered by the Missouri General Assembly during the 2017 legislative session. These statements are not meant to be wholly inclusive of every issue of interest to the CFM and are intended to only serve as a general guide to the Federation and its members. As appropriate, these statements may be reconsidered and modified by the CFM Legislative and Executive Committees at any time.